The complexities and historical shifts of the interpretation of constitutional rights, freedom of speech and how to fly the American flag. Alistair Cooke reflects on the wide-ranging functions of the US Supreme Court. Melvyn Bragg and guests discuss the Statue of Liberty. Letter from America by Alistair Cooke. 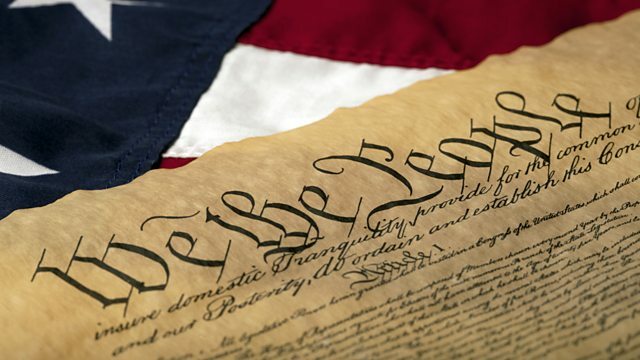 Alistair Cooke demystifies America's political and legal systems.